It is universally known within the world of Idols and Western fans that I, Chiima, am not the biggest fan of Yajima Maimi. Of course, I appreciate what she has given to our world of Idols, music and happiness; I'm not blind, nor am I ignorant, however I will not go out of my way to say that she is my #1 member of the group that will be graduating from our lives soon. It is my attitude towards her (she can't sing, she sounds bad, etc.) that has earned me a few glares, and caused some quarrels. Nevertheless, that was (and to a degree, is) my opinion, and I won't quickly turn around and say she's a fantastic singer, just because she is leaving. That said, I can't deny that my attitude has changed since the early days. Of course, I still stand by my opinion that Maimi is not a great singer, however, she has grown as one these past few years. Gone are the days she sounds like a bland, nasally Idol. Plus, ever since going to the concert and fan meet in Paris, my opinion of her did heighten, but again, it won't drastically change, either. I'm a stubborn old fool, me. But, looking back at Maimi and the days where I was an early Idol fan, there are definitely bittersweet memories. Over the course of this past week, through reviews and music, I have come to appreciate Maimi even more than before. I think it's something that happens a lot to me, just before an Idol graduates a group I like(d); I realise just how great the Idol or group was, even if I didn't necessarily like them, and begin to realise just what I have missed out on. In a way, it happened with Maimi, because... Maimi? Let's just say, I know for sure that, deep down, I will miss her. Ever since ℃-ute's inception, Maimi has been the groups leader. She is one of H!P's longest running leaders, actually, and that is damn impressive, to say the least. For well over a decade, she has been leading the group, and ever since Michishige Syaumi's own graduation in 2014, Maimi has acted as the head of Hello! Project, and I can only guess that she done a good job at it. Now, she will soon be passing that torch onto another member of H!P. Admittedly, from day one, I was not Maimi's biggest fan. I thought she was a terrible singer, and at one point, I found her worse than Hagiwara. Over time, however, I have grown more accustomed to her voice, and as of late, I've found charm in it. Maimi is pretty easily distinguishable in ℃-ute, and a good chunk of Hello! Pro, plus, ever since I heard her live, I've found that she is pretty powerful. Studio recordings really don't do her justice. I always thought of her as weak in vocals and nasally in sound, and though the nasally part still holds true, there is a new found appreciation for her singing. But one thing that I did like about Maimi, and thought that few could beat her in, was her beauty. Maimi is, by far, the most beautiful member of ℃-ute. There is this calm, mature feel to her that is extremely refreshing and unique to only her, and of all the members, I thought she was the one that should be a model. She has the looks, the figure, and the expression to pull it off, and though I know she will be joining M-Line after she graduates, I can only hope that she does some modelling down the line, because cripes, it would be a crime to let this girl stop modelling. I've actually not seen any of Maimi's photobooks, but from most pictures that I have seen of her, and any music video that contains her, I always felt in awe of her looks. She really is a cut above the rest, and though Sayumi amazes me sometimes, I think that Maimi is even more amazing. She can look pretty plain in one shot, and the next, she looks extremely alluring and playful. It's bloomin' magic, I say, but it's amazing. Again, she is gorgeous, and I really do think she should pursue modelling. There are so many people that love this girl, and though I don't actually know why (I have not really asked XD), I am glad that she is loved by so many. I mean, I understand; she brings you a happiness that no other Idol can bring, and she really is sweet. Plus, she's beautiful, and most likely kind. Honestly, at this point, I am unsure what her personality is like; I haven't followed her closely enough, because that is just how I am. But, I do know that, for such a long time, Maimi tried her hardest as an Idol. 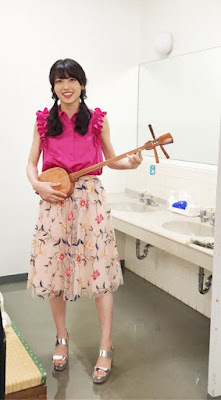 She lead a group that, at first, was deemed the 'leftovers' of the H!P kids, and went on to become one of the most beloved Idols within all of Hello! Project, leading the most senior and best groups that UFP had. She has watched the project grow, seen members come and go from a variety of groups, and listened to the sounds change as she has aged. For so long, she has been in the middle of an ever-changing world of Idols, and experienced so much from singing, acting, dancing, modelling, variety, and more. Yajima Maimi is no stranger to change or tears; it's happened too many times to count, and this time, it will be her turn. For once, she will be stepping out of the middle to experience the change, and create a new era within H!P by doing so. 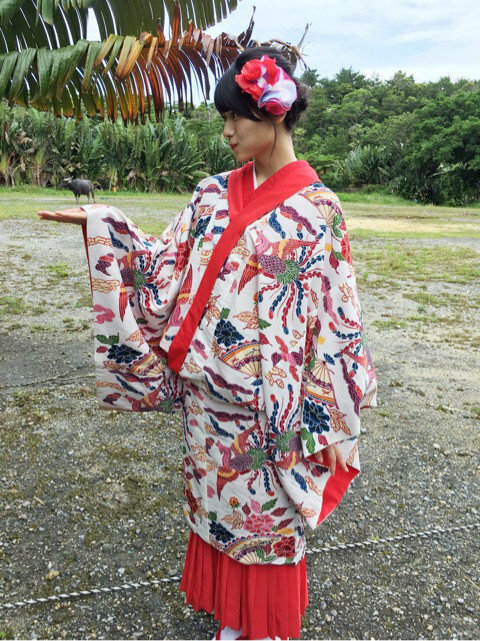 I will admit, when Yajima Maimi graduates, it will be a strange thing. I am so used to her being there, because when I came to be an Idol fan, she was one of the members who had always been present. Yajima Maimi, for well over a decade, has been a part of one H!P's core groups, standing at the head with a smile on her face and determination in her step. Like Michishige Sayumi, she was just there, and I never anticipated, nor expected, the day that she would not be in the spotlight, gracing us with a smile and singing her nasal-tone. It's all too sudden, and I still can't believe that she will be going, even as I write this. But on June 12th, the days of an Idol will be gone, and Yajima Maimi will step out of the spotlight to work with M-Line. We will not hear her singing, we will not see that smile in a music video. At least, not with ℃-ute, the group that she lead for all these years, up until this point where they are one of H!P's brightest and best. Soon, the Idol that is Yajima Maimi will graduate, and all we will have left are the memories of the days where she reigned supreme. I may not miss Maimi as much as others when she goes, but, I will miss her. I will miss her beauty and smile, and I will miss the presence that she had as an Idol. I may not have been her fan, but, that does not mean I have not liked some of the things she did, or what she has given to me as an Idol fan. 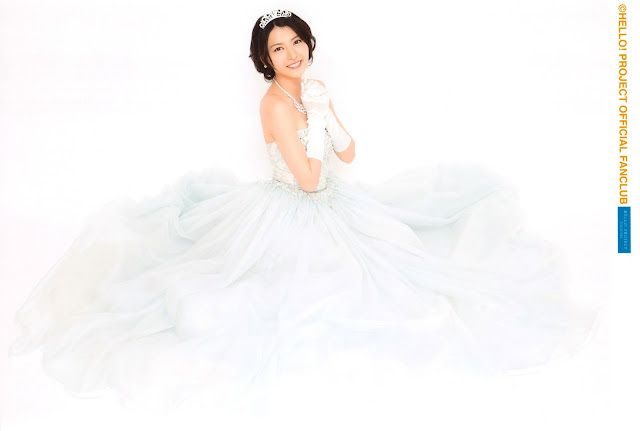 She was a part of ℃-ute, and she was a part of my Idol fandom, whether I liked her not. For so long, Yajima Maimi has been a core part of my growth in music, reviewing, Japanese culture, and blogging. And when she goes, I will feel a little lost at first, because as I said previously, she has been there from the beginning. But, like all Idols I come across and adore or dislike, she will have to go. No Idol can be an Idol forever. Though I have not always liked her. Despite the years where I dissed her voice or thought little of her, right now, I do appreciate and like her. It took a long time, but, I finally saw something special in Maimi, and it was far more than her beauty. She is a wonderful Idol, and for so long, I have taken her for granted. But now, I am happy that she was there when I was beginning this journey. After all these years, she has brought joy to so many, and I hope that, even behind the scenes and outside of the spotlight, she will continue to inspire others, and create smiles all around her. After so much hard work and dedication, it is time for this Idol to let the curtain fall, to never rise back up again. Thank you for all your years of hard work. Yajima Maimi, ありがとうございました！ After all these years, please continue to lead and strive for greatness! We will smile through the tears, and treasure the beauty you have brought to our Idol world.